Diversity and inclusion are at the heart of Saint Luke’s mission and values. At Saint Luke’s, we treat all patients with dignity, compassion, and respect. We strive to provide the highest level of care and do not discriminate based on a patient’s sexual orientation or gender identity/expression. Saint Luke’s believes in health care for all. That’s why we’re proud to be recognized as an Equality Leader by the Human Rights Campaign for our commitment to providing equitable, inclusive care to lesbian, gay, bisexual, and transgender (LGBTQ) patients. In fact, all five metro hospitals earned the designation in 2015-16: Saint Luke's Hospital, Saint Luke's East Hospital, Saint Luke's North Hospital, Saint Luke's South Hospital, and Saint Luke's Cushing Hospital. And Saint Luke’s Hospital is the only Kansas City provider to receive the highest possible rating by PROMO for our welcoming policies for LGBTQ patients. As an organization committed to providing excellent patient-centered care, Michael L. Weaver, M.D., FACEP, Medical Director of Clinical Diversity, serves as the Saint Luke’s Health System LGBTQ Patient Advocate. In this role, Dr. Weaver is available to answer questions, assist with concerns, and facilitate patient navigation for our gay, lesbian, bisexual, transgender, and questioning patients. This health system role supports all of our acute care hospitals in addition to the ambulatory and specialty services that we provide. To contact Dr. Weaver, call 816-932-2443. Sandie Mayer is a Licensed Clinical Social Worker. She has over 25 years of experience working with individuals, couples, and families. She has specific interest in the LGBTQ community. Sandie is able to provide referrals and letters to medical providers on behalf of the transgender patient. She can also provide supportive counseling to the patient in process of transitioning as well as work with their families through this difficult time. Sandie sees patients in the Saint Luke’s Primary Care—Southridge clinic. To schedule an appointment, call 913-317-3200. 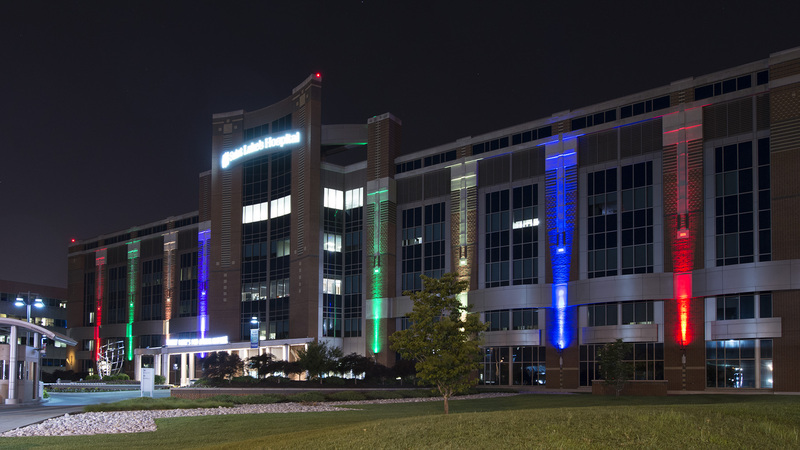 Children's Mercy Hospital in Kansas City provides interdisciplinary, family-centered services for transgender, gender-variant, and gender-questioning children. Gender Pathway Services are aimed at supporting the physical, mental, and social health of patients and their families as they navigate the process of gender identity development. ​GLMA's mission is to ensure equality in health care for lesbian, gay, bisexual, and transgender (LGBT) individuals and health care providers. Visit the GLMA website to find a provider based on your ZIP code and other health resources. The Kansas City Anti-Violence Project is committed to providing domestic violence, sexual assault, and hate crimes advocacy and education to the lesbian, gay, bisexual, transgender, and queer community. The organization offers a 24-hour crisis hotline, counseling services, and emergency assistance. KCCI provides a safe, welcoming space where LGBT+ individuals, their families, friends, and straight allies can come for education and resources. KCCI aims to build a cohesive LGBT+ community in the Midwest. KCCI offers referrals to LGBT+ resources by phone, web, or in person; on site counseling; meeting and event space; educational sessions and social events; and a lending library on LGBT+ subjects. ​PFLAG Kansas City is a robust local chapter of PFLAG, the nation’s foremost family-based organization committed to the civil rights of lesbian, gay, bisexual and transgender (LGBT) people. PFLAG Kansas City offers help for lesbian, gay, bisexual, and transgender (LGBTQIA) youth, their families, and communities around the topics of sexual orientation and gender identity. ​SOFFA (Significant Others, Family, Friends, and Allies) of Transgender Persons is a support group for those close to someone who is or feels they may be transgender or transsexual. The group meets twice a month. See website for times and locations. The Transgender Institute in Kansas City, Missouri, is a gender therapy and coaching organization dedicated to serving the transgender population. It offers in-office consultation, off-site training, coaching and therapy sessions, as well as online sessions for individuals, couples, teens, and children. ​Transas City is a research and fact-based website to benefit transgender and transsexual persons and their families, friends, allies, and supporters. ​TrueGender is a nonprofit organization that offers funding and resources to help transgender persons with transitioning and support, regardless of age or progress of transition. TrueGender also offers resources such as mentorship programs, gender expression banks, clothing swaps, classes, and various workshops and support groups for transgender persons or families.